Nestle is selling nearly $3 billion worth of its U.S. candy brands, including Butterfinger, BabyRuth and Nerds, to Ferrero, the maker of Nutella, according to the companies. Nestle (NSRGY) said Ferrero will acquire more than 20 of its U.S. confectionery brands, allowing the company to focus on non-candy products from its U.S. division like pet products, bottled water, coffee, frozen food and baby nutrition. 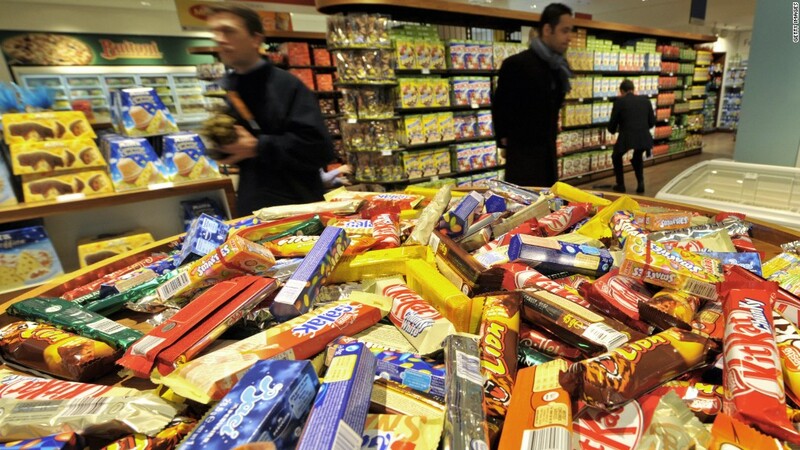 Nestle, a massive food and beverage company based in Switzerland, is well-known for its chocolate and candy like 100Grand, Raisinets, and Crunch. Even though its candy sales reached about $900 million in the U.S. in 2016, confections make up a small part of Nestle's U.S. sales, which totaled nearly $28 billion the same year, according to the company. Nestle manages over 2,000 brands around the world including Gerber baby food, Purina Cat Chow and Nescafe. The company said it remains committed to its international chocolate business, including its KitKat brand. Hershey (HSY) has the license for KitKat in the U.S. But Nestle still owns the brand and it's not part of the Ferrero deal. The deal is expected to close after the first quarter if it clears regulatory approval.